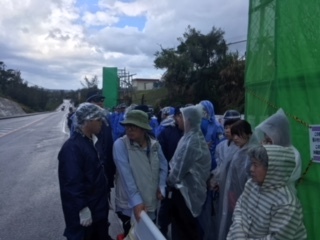 (in front of the gate)-A week has passed since the prefectual governor Onaga declared revocation of approval of embankment. 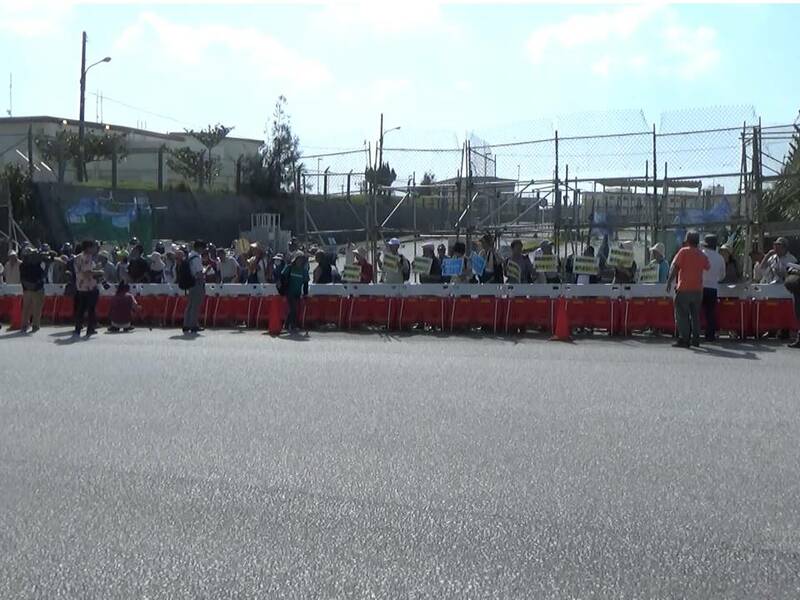 The number of the people come to the gate for the protest from the mainland was 50 in the morning and this number has been increasing since the declaration by Onaga in spite of the intense heat and of the high travel cost. They have come here for the critical protest starting from August 6.The riot police forcibly removed the people one after another as usual. 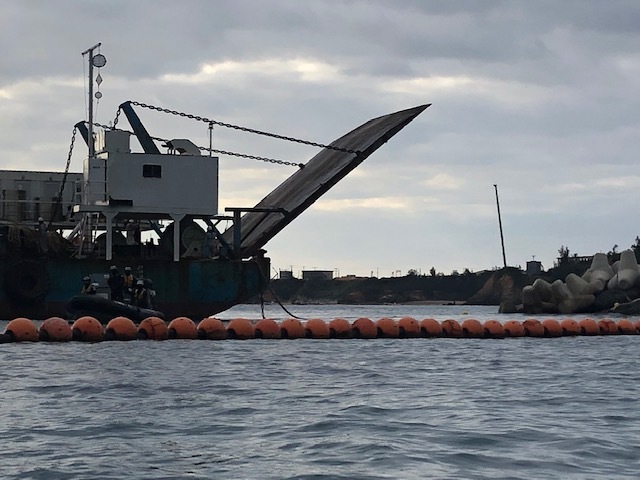 179 dump trucks with sediment passed through the gate at 9:10 am, 146 dump trucks with sediment passed through the gate at noon while 110 people tried to stop them, and 140 dump trucks with sediment passed through the gate at 3 pm. Most of the people for the protest are old. They are old enough to know what had happened during the world war two in Okinawa and how horrible it was. They never want a war happening in Okinawa. They never want a base that could become a target if a war break out. They shall overcome US base. Previous post report on August 1-We shall never give up!protest still continues.